It’s the time of the year to come together and enjoy reunions with your entire family and friends. And what best way to celebrate than over a meal? To enjoy discounts when you eat out in the form of Cashback, join Shopback-GO. 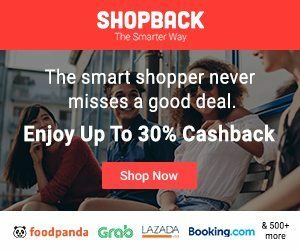 5% Cashback through ShopBack GO. The elegant Forlino restaurant at One Fullerton aims to impress with its delightful Yu Sheng crafted by the Chef Matteo Ponti. Again, this isn’t your traditional Yu Sheng. 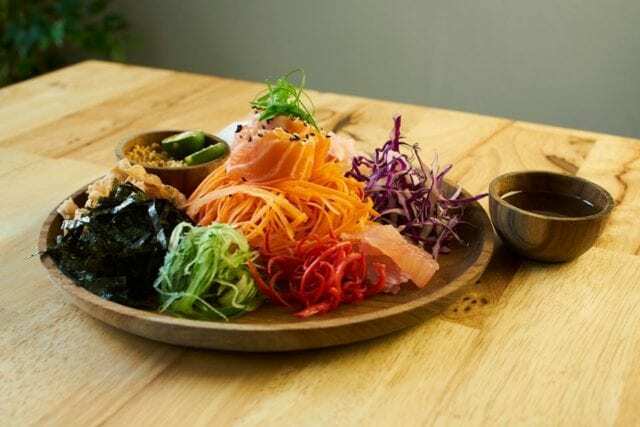 Instead of the usual ingredients, this Yu Sheng dazzles with its premium ingredients like Kaluga Queen Caviar, scallop crudo, in-house smoked salmon and swordfish crudo to usher you in the Year of the Pig with abundance, fortune and health. At Forlino, you start the New Year with a premium meal and a premium view! 10% Cashback through ShopBack GO. 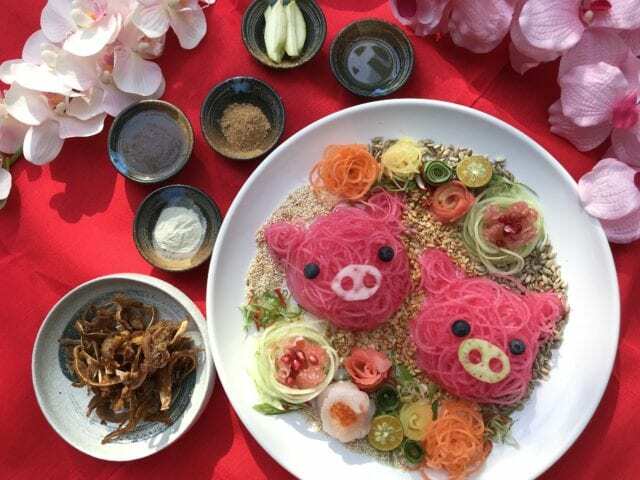 Head to Fat Chap at Suntec to toss to a new year with this unique Yu Sheng packing a vibrant blend of green and white daikon, bits of pomegranate and pomelo and paired with a side of curry spiced Crispy Pig’s Ears. Don’t wait for your reunion dinner to get into the festive spirit. Jack’s Place is offering a Prosperity Lunch menu that is a steal. This affordable set lunch also includes a delicious pineapple pannacotta as dessert. 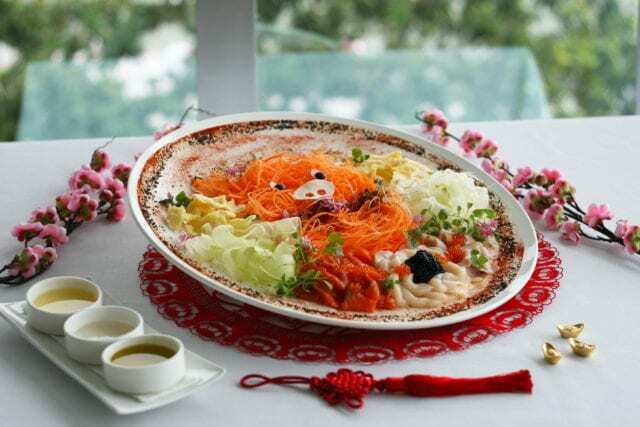 Bring a friend along for lunch or dinner and try one of their 2 Yu Shengs: the Prosperity Lo Hei or the Abundance Lo Hei. Are you a Ma La addict? 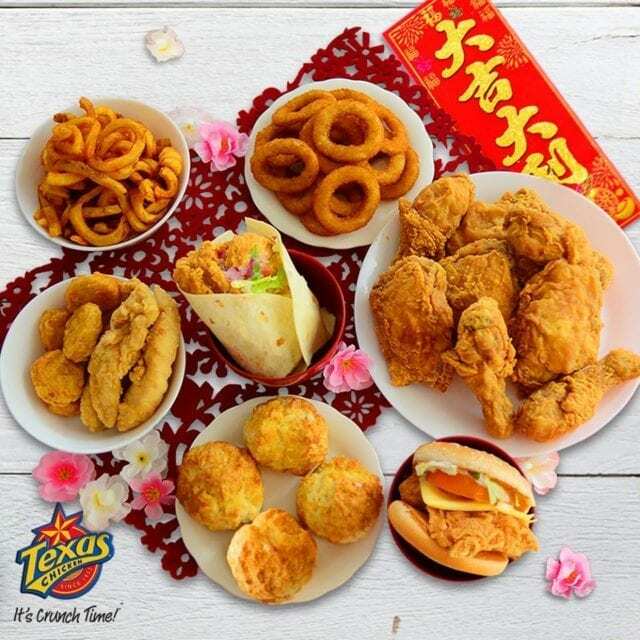 Get the sizzling HongPow Ma ‘Luck’ Chicken at Texas Chicken, marinated with Szechuan spices and glazed with Ma La sauce. 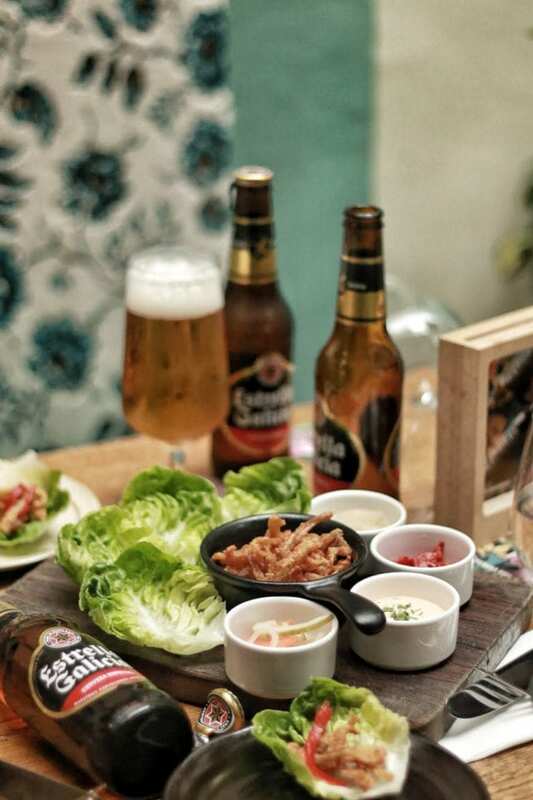 The Texas Chicken bundles are ideal to share, and this Ma La flavour is a crowd favourite. Grab it while you can, this sizzling mala flavour is only available until 20 Feb. 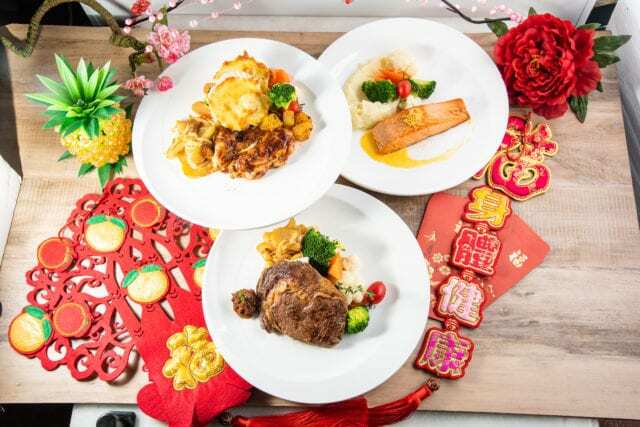 Your Chinese New Year celebrations don’t have to break the bank, and not all CNY meals need to be excessive. You can get in a celebratory mood while eating a healthy lunch every day. 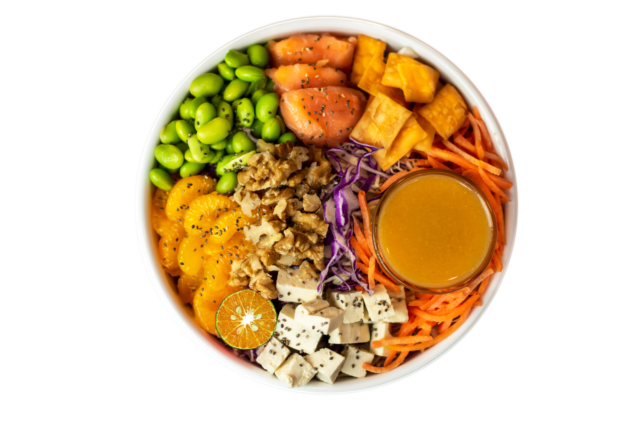 This colourful salad is prepared with red & white cabbage, smoked salmon, edamame, mandarin orange, carrots, tofu, walnuts, sesame seeds, chia seeds, topped with crispy crackers and yuzu plum vinaigrette. This feels like eating a healthier Yu Sheng. 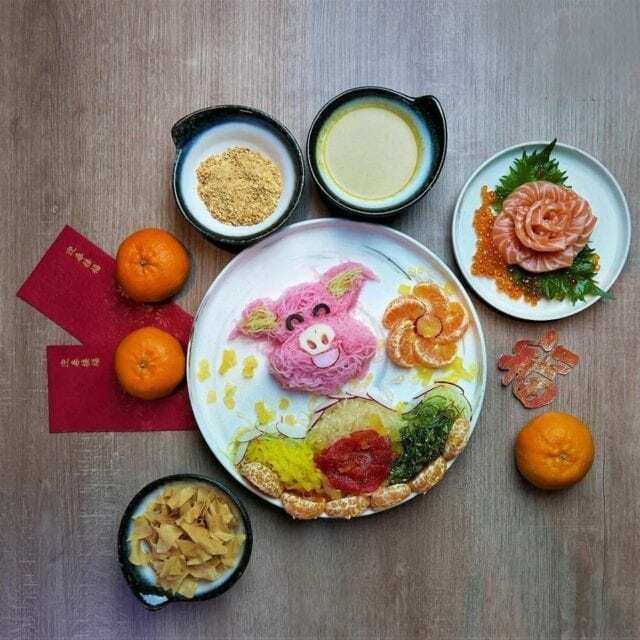 Not even fast food escapes Chinese New Year traditions! With a touch of Asian spices and packed with lucky ingredients, these burgers are so tasty you won’t believe it. 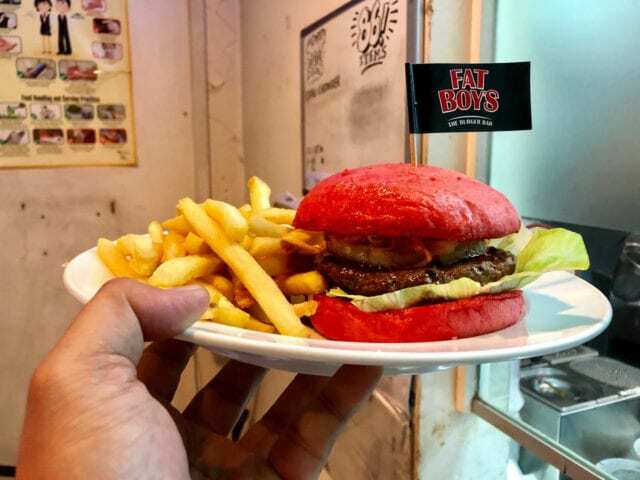 FatBoy’s makes this CNY even more auspicious with its vibrant red bun burger. And no, this burger doesn’t come with a pork patty, mind you! The Hong Pow is made with a juicy beef patty, kung pao sauce, sliced pineapple, and a mini Lou Hei. 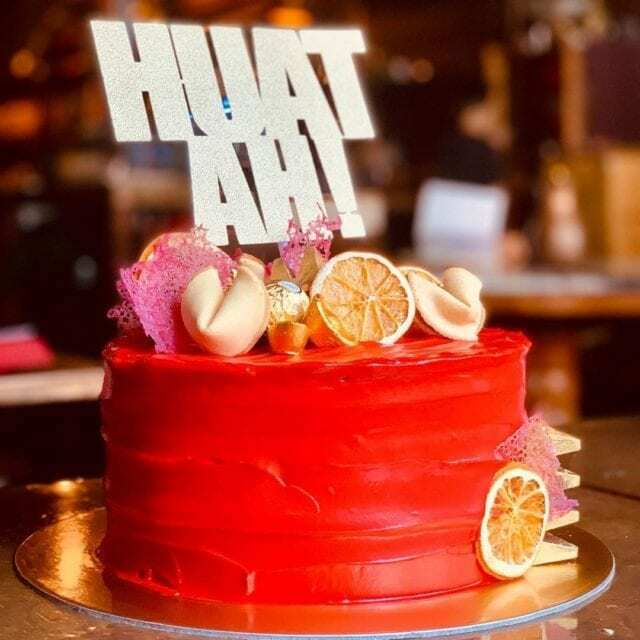 This is arguably the most huat burger in town, and you can try it until 28 Feb. 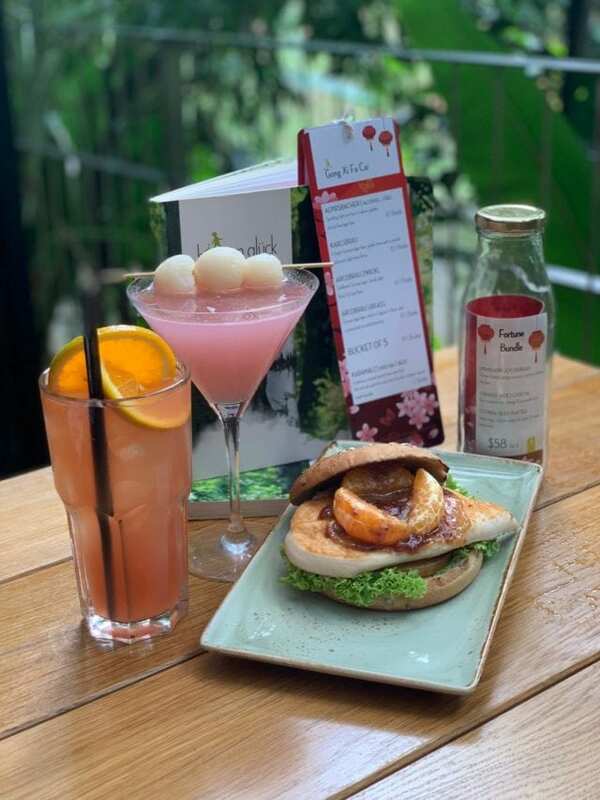 Created especially for this period, HANS IM GLÜCK’s Mandarin Joy has a chicken breast fillet sandwiched between a soft bun of your choice (multigrain, sourdough or naked) and laced with apricot chutney, mandarin orange and orange mustard sauce. Frozen yoghurt is the perfect guilt-free dessert, and it tastes good all year round. 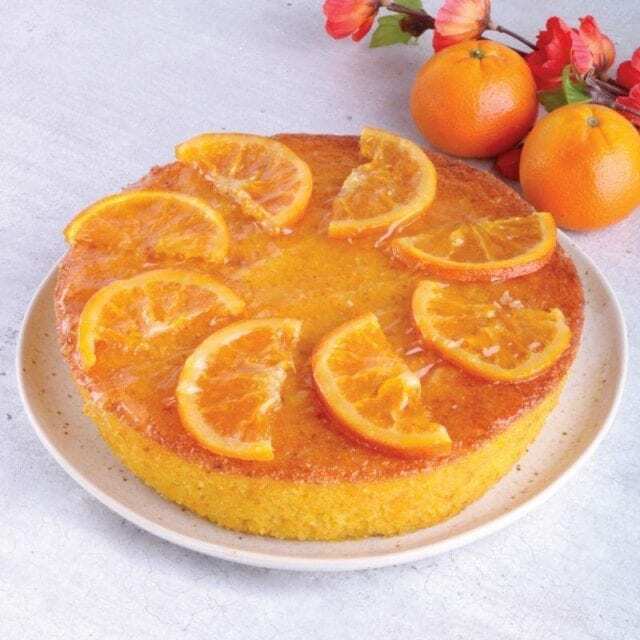 So why not put a lucky touch to your frozen yoghurt treat with Yole’s special CNY topping, the lucky mandarins? 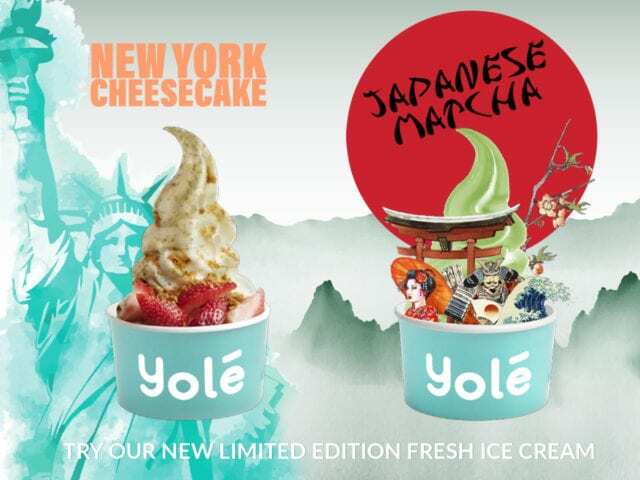 And while you’re at it, do try the new fresh ice cream flavours: Japanese Matcha and New York Cheesecake, while they’re still available. Forget diets, these limited edition eclairs are impossible to resist. 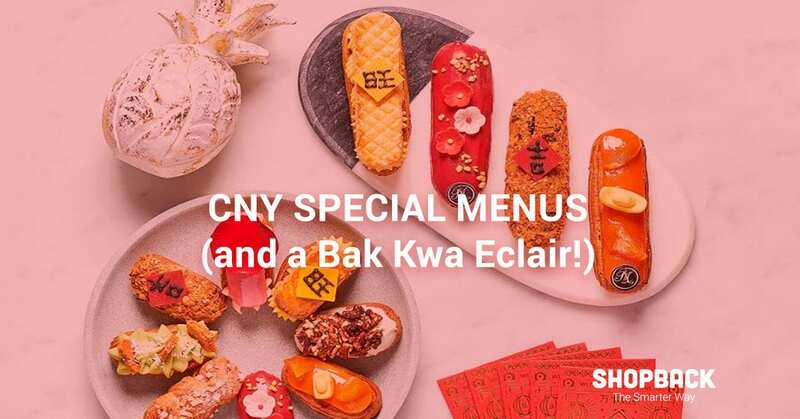 The eclairs are now available in limited edition CNY flavours like Bak Kwa Pork Floss (yes, you read that right! Bak Kwa flavoured eclair! ), Strawberry Cognac, Pineapple Tart, Mandarin Orange and Kaya Pandan. 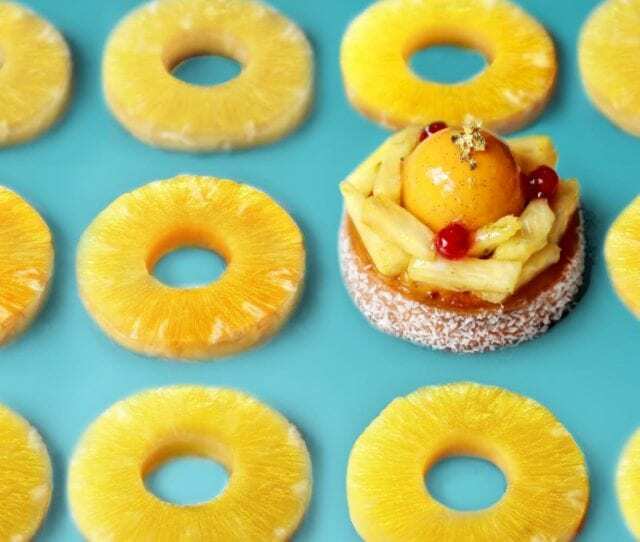 Too pretty to eat? You won’t resist taking a bite. The Golden Prosperity Medallions shaped like coins and embellished with Gold Leaf for extra fortune. Featuring 68% Bolivia dark chocolate topped with Orange Spiced Granola. 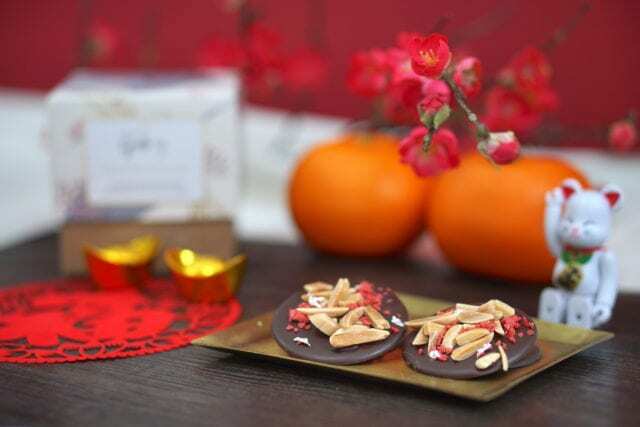 And Silver Longevity Medallions with the same 68% Bolivian chocolate as its golden counterpart, topped with almond slivers and freeze-dried strawberries, adorned with Silver Leaf. Cedele also has a juicy Huat Chai Chicken Sandwich and healthier rendition of chicken rice in burger form, but that’s not what caught our eyes (or stomachs!). 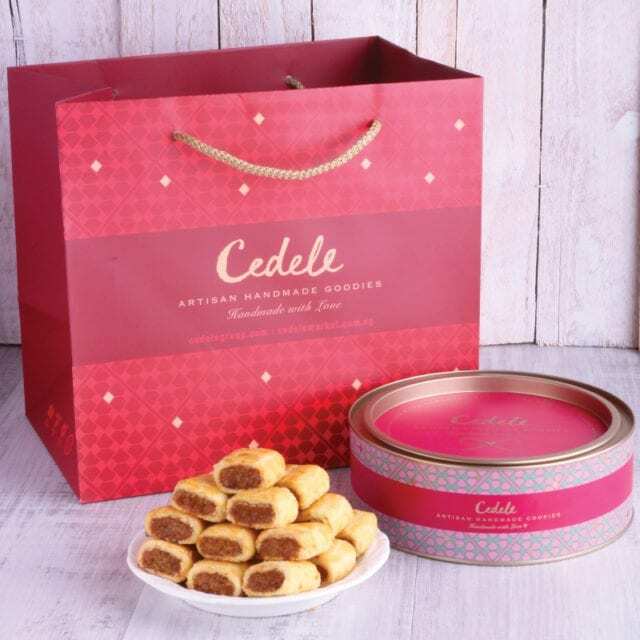 The special treats we want to surprise family and friends with are Cedele’s assortment of deluxe and artisanal cookies and cakes, including the Pineapple Pocket Pie, the Mandarin Orange Polenta Almond cake, Cornflake Cookies, and the unique Peranakan-inspired Almond Ikan Bilis cookie. 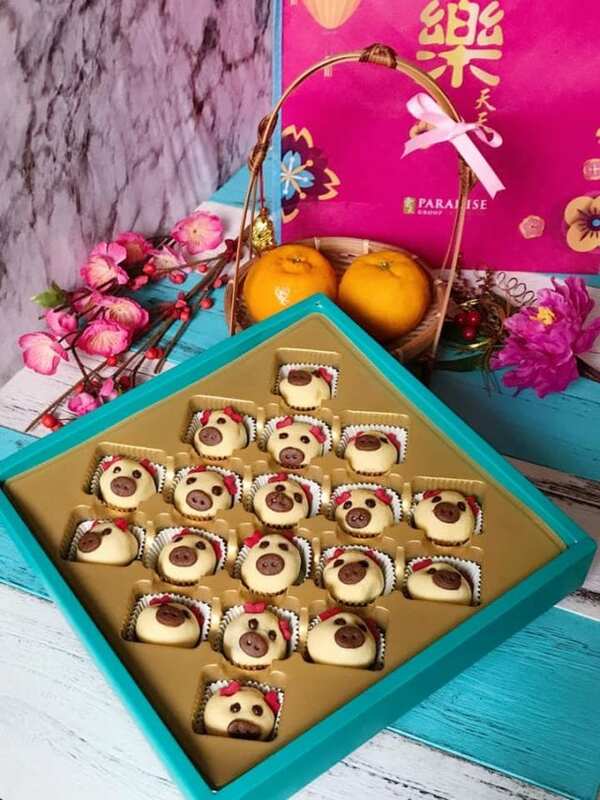 This Chinese New Year offerings are available now until 19 Feb.
Cedele promises and delivers. Their gluten-free, vegan and delicious sweet treats got us coming back for more. Also, discover their limited edition seasonal cakes – Lychee Rose, Sesame Tahini and Yuzu Cheesecake. 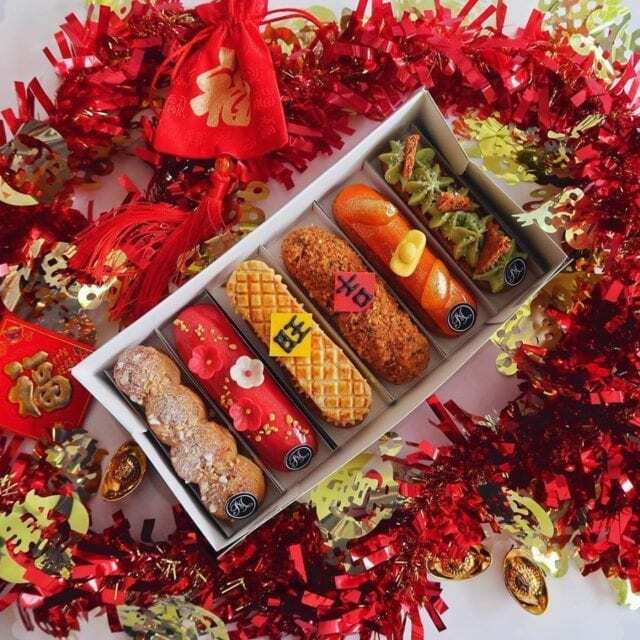 Now that you have the list, you are appropriately armed to go on your CNY feasting spree. Don’t forget to use ShopBack GO for extra Cashback when you eat out at any of the outlets mentioned above. With Cashback earnings up to 10%, your savings will be grand. For more food articles and new, follow us on our Telegram channel.